The riches of My household are without number and unfathomable, yet man has never come to Me to enjoy them. He is incapable of enjoying them on his own, nor of protecting himself using his own efforts; instead, he has always placed his trust in others. Of all those I look upon, no one has ever sought Me deliberately and directly. They all come before Me at the urging of others, following the majority, and they are unwilling to pay the price or spend the time to enrich their lives. Hence, among man, no one has ever lived in reality, and all people live lives that are without meaning. Because of the long-established ways and customs of man, the bodies of all people are suffused with the odor of earthly soil. As a result, man has grown callous, insensible to the world’s desolation, and he instead busies himself with the work of enjoying himself on this frozen earth. Man’s life has not the slightest warmth, and is devoid of any trace of humanity or light—yet he has ever inured himself to it, abiding a lifetime bereft of worth in which he rushes about without achieving anything. In the blink of an eye, the day of death draws near, and man dies a bitter death. In this world, he has never accomplished anything, or gained anything—he only hurriedly arrives, and hurriedly departs. None of those in My eyes have ever brought anything, or taken anything away, and so man feels that the world is unfair. Yet none are willing to hurry away. They merely await the day when My promise from heaven will suddenly come among man, allowing them, at the time when they have gone astray, to once more behold the way of eternal life. Thus, man fixates upon My every deed and action to see whether I have really kept My promise to him. When he is in the midst of affliction, or in extreme pain, or beset by trials and about to fall, man curses the day of his birth so that he may sooner escape his troubles and move to another ideal place. But when the trials have passed, man is filled with joy. He celebrates the day of his birth on earth and asks that I bless his day of birth; at this time, man no longer mentions the oaths of the past, deeply fearful that death will come upon him a second time. When My hands raise up the world, people dance with joy, they are no longer sorrowful, and they all depend on Me. When I cover My face with My hands, and press people beneath the ground, they immediately feel short of breath, and are barely able to survive. They all cry out to Me, terrified that I will destroy them, for they all wish to behold the day when I am glorified. Man takes My day as the principal of his existence, and it is only because people long for the day when My glory will arrive that mankind has survived until today. The blessing decreed by My mouth is that those who are born during the last days are fortunate enough to behold all of My glory. Throughout the ages, many have departed from this world in disappointment, and with reluctance, and many have come into it with hope and faith. I have arranged for many to come, and have sent many away. Countless people have passed through My hands. Many spirits have been cast into Hades, many have lived in the flesh, and many have died and been reborn on earth. Yet never have any of them had the opportunity to enjoy the blessings of the kingdom today. I have given man so much, yet he has gained little, for the onslaught of Satan’s forces has left him unable to enjoy all of My riches. He has only had the good fortune to look upon, but has never been able to fully enjoy. Man has never discovered the treasure house in his body to receive the riches of heaven, and so he has lost the blessings that I have bestowed upon him. Is man’s spirit not the very faculty that connects him to My Spirit? Why has man never engaged Me with his spirit? Why does he draw near to Me in the flesh, yet is incapable of doing so in spirit? Is My true face of the flesh? Why does man not know My substance? Has there really never been any trace of Me in the spirit of man? Have I completely disappeared from the spirit of man? If man does not enter into the spiritual realm, how can he grasp My intentions? Is there that in the eyes of man which can directly penetrate the spiritual realm? Many are the times that I have called out to man with My Spirit, yet man acts as if he has been stabbed by Me, regarding Me from a distance, in great fear that I will lead him into another world. Many are the times that I have inquired in the spirit of man, yet he remains utterly oblivious, profoundly afraid that I will enter into his home and seize the opportunity to strip him of all his belongings. Thus, he shuts Me outside, leaving Me faced with nothing but a cold, tightly-closed door. Many are the times that man has fallen and I have saved him, yet after waking he immediately leaves Me and, untouched by My love, shoots Me a guarded look; never have I warmed the heart of man. Man is an emotionless, cold-blooded animal. Even though he is warmed by My embrace, never has he been deeply moved by it. Man is like a mountain savage. Never has he treasured all of My cherishment of mankind. He is unwilling to approach Me, preferring to dwell among the mountains, where he endures the threat of wild beasts—yet still he is unwilling to take refuge in Me. I do not compel any man: I merely do My work. The day will come when man swims to My side from amid the mighty ocean, so that he might enjoy all the riches on earth and leave behind the risk of being swallowed by the sea. As My words are consummated, the kingdom is gradually formed on earth and man is gradually returned to normality, and thus there is established on earth the kingdom in My heart. 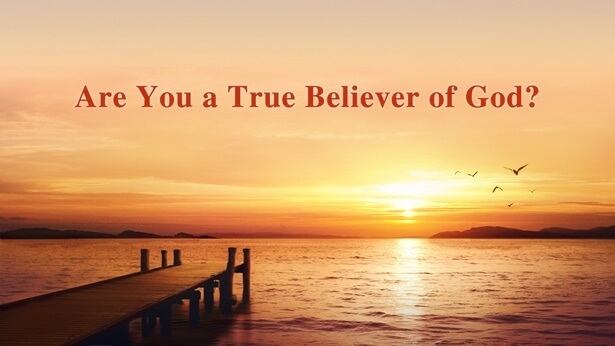 In the kingdom, all the people of God recover the life of normal man. Gone is the frosty winter, replaced by a world of cities of spring, where it is spring all year round. No longer are people faced with the gloomy, miserable world of man, no longer do they endure the cold chill of the world of man. People do not fight with each other, countries do not go to war against each other, no longer is there carnage and the blood that flows from carnage; all lands are filled with happiness, and everywhere teems with warmth between men. I move throughout the world, I enjoy from atop My throne, I live among the stars. And the angels offer unto Me new songs and new dances. No longer does their own fragility cause tears to run down their faces. No longer do I hear, before Me, the sound of the angels weeping, and no longer does anyone complain of hardship to Me. Today, you all live before Me; tomorrow, you will all exist in My kingdom. Is this not the greatest blessing that I bestow upon man? Because of the price you pay today, you will inherit the blessings of the future and will live among My glory. Do you still not wish to engage with the substance of My Spirit? Do you still wish to slay yourselves? People are willing to pursue the promises that he can see, even though they are ephemeral, yet none are willing to accept the promises of tomorrow, even though they are for eternity. The things that are visible to man are the things that I will annihilate, and the things that are impalpable to man are the things that I will accomplish. This is the difference between God and man. Man has counted My day, yet no one has ever known the exact date, and thus man can live only in the midst of stupor. Because man’s longings resound across the limitless skies, and then disappear, man has lost hope over and over again, such that he has descended to his current circumstances. The goal of My utterances is not to make man pursue dates, nor to drive him to his own destruction as a result of his despair. I wish to make man accept My promise, and I wish for people all over the world to have a share of My promise. What I want are living creatures that are full of life, not corpses that have been steeped in death. Since I recline at the table of the kingdom, I will command all people on earth to receive My inspection. I do not allow the presence of any unclean thing before Me. I do not brook any man’s interference in My work; all those who interfere in My work are cast into dungeons, and after they are released they are still beset by catastrophe, receiving the scorching flames of earth. When I am in My incarnate flesh, whosoever debates My work with My flesh will be loathed by Me. Many are the times that I have reminded all men that I am without kin on earth, and whosoever looks upon Me as an equal, and pulls Me to them so that they may reminisce about times past with Me, will be subject to destruction. This is what I command. In such matters I am not in the least bit lenient toward man. All those who interfere in My work and offer counsel to Me are chastised by Me, and will never be forgiven by Me. If I do not speak plainly, man will never come to his senses, and will unwittingly fall into My chastisement—for man does not know Me in My flesh. 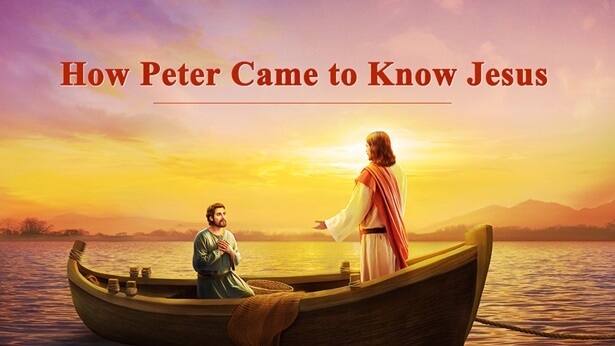 Peter began following Jesus when he was 20 years old, and continued so for six years. During that time, he never came to know Jesus, but was willing to follow Him purely out of admiration for Him.